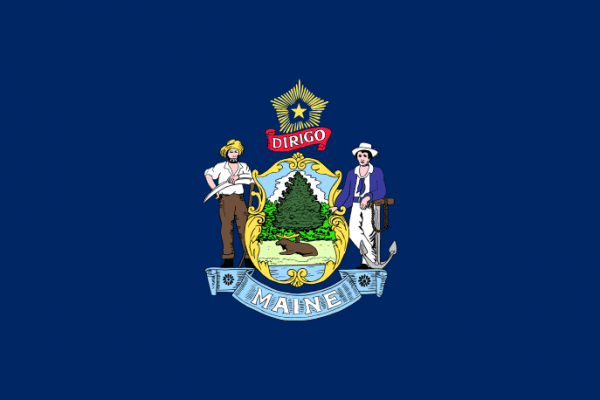 Maine was voted into the United States in 1820 as the 23rd state. The capital is Augusta while the most populated city and metro area is Portland. Ranked 41st in the country in population with only 1.3 million residents, The Pine Tree State of Maine is located in the northeastern region of the continental United States. Maine is also known for the large forests, jagged rocky coasts, and rolling hills. Maine is also known for the lobsters and clams that comes out of its seafood filled shore. In 1820 Maine residents voted to secede from the commonwealth of Massachusetts and became it’s own state. Scrappers in Maine looking for scrap yards in the area can use the iScrap App to also check current scrap prices. The iScrap App allows users to find yards in the area and also check the prices listed by the yards. If some yards in the area choose not to list their prices on the iScrap App, scrappers have the ability to report scrap prices on the iScrap App. This is a helpful tool for users to keep track of what others are getting paid at the locations in the area around Portland and other busier areas in Maine. The iScrap App users can help users see what the prices for metals like copper, steel, and aluminum are. With a variety with agriculture, Maine has its hand in a lot of industries like poultry, dairy, cattle, fruits, commercial fishing, and also a large supplier of spring water for bottle water. The larger industrial trends in Maine are lumber, electronic equipment, biotechnology, and leather products. Maine also has a history in shipbuilding for all of the wood ships in the 18th and 19th centuries. There are plenty of opportunities with the variety of industries for scrap metal recycling through the state. The Maine Scrap Yards will be able to help you get the right information you need to recycle your copper, steel, aluminum, and other metals with them. Use the iScrap App to search and located local Maine salvage yard and auto wreckers. You can see their current scrap prices, request containers for larger job sites, ask about scrap car pickups, and request auto parts for repairs. The local scrap yards can be found in some areas in Maine like, Portland, Lewiston, and Waterville. C I A Salvage Inc.